Stains, chips, cracks, gaps – our teeth can fall victim to a lot of wear-and-tear over time. If you’re unhappy with the smile you see in the mirror every morning, consider reaching out to Young Family & Cosmetic Dentistry for the experienced and compassionate assistance you need. 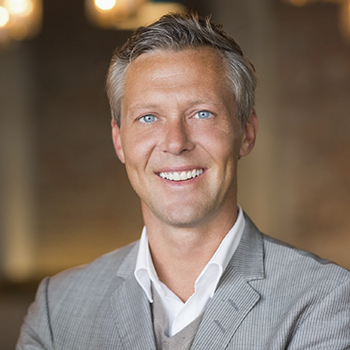 Cosmetic dentist Dr. Dan Young offers several cosmetic services that can transform your appearance for the better, helping you finally achieve a smile that looks just as it good as it feels. Our Joplin, MO team welcomes patients from southwest Arkansas, Kansas, and even further – contact us today to schedule your first consultation! When certain teeth or even your entire smile is in need of a full makeover, porcelain veneers can come to the rescue. These wafer-thin, all-ceramic restorations are designed to fit over just the front surface of your teeth instead of the entire shape, creating a natural, flawless look that hides years of imperfections safely underneath. Veneers can thrive for 10-15 years with proper maintenance, and the high-quality structure actually stands up against gradual staining better than your original enamel, which means the improvements Dr. Young creates for you will retain their original brilliance even longer. It wasn’t too long ago that silver and gold-colored restorations were the norm, leaving patients with sections of their smile that looked unnatural. At Young Family & Cosmetic Dentistry, we understand how important your appearance is – that’s why we primarily offer all-ceramic crowns, bridges, inlays, onlays, veneers, and other restorations that are designed to be an ideal match for your teeth. In addition to their aesthetic advantages, all-ceramic options are also comfortable, durable, and more biocompatible for patients who struggle with sensitivities/allergies to common dental metals. If you have a small dental flaw (such as a chip, stain, or gap) that’s in need of a quick fix, direct bonding could be the perfect treatment option. 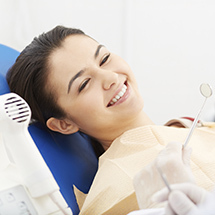 During your appointment, Dr. Young will carefully apply tooth-colored composite resin to the tooth in question and sculpt a pleasing, natural-looking addition that’s hardened in place with a curing light (much like a filling). 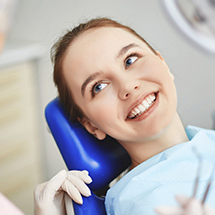 The whole process can be completed in one, convenient visit, and the results (while not as permanent as a crown) can serve patients well for multiple years. When your smile has become noticeably stained or lackluster in color, our team would love to help you give your whole look a much-needed refreshing. With in-practice teeth whitening here in Joplin, MO, Dr. Young can dramatically brighten teeth by multiple shades in record time – just one appointment. Customized take-home teeth whitening kits are also available at our practice. Achieving a beautiful smile is one thing, but the prospect of rediscovering your self-confidence may be for naught if the rest of your face doesn’t compliment your new improvements. That’s why Dr. Young is happy to now offer Botox and dermal filler treatment to smooth out frustrating folds and wrinkles in the skin, creating a more youthful appearance that our patients can take pride in. These treatments are quick, comfortable, and minimally invasive, and the results typically last for several months at a time. Better yet, this kind of care can even help alleviate symptoms caused by TMJ disorder! During an initial consultation, our team can help you determine which option best fits your unique appearance and goals. 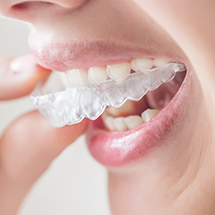 With Invisalign treatment, patients in search of a straighter smile can leave the disadvantages of traditional braces behind for a subtler, more cosmetically pleasing alternative that creates lasting results. Visit our Invisalign page to learn more.